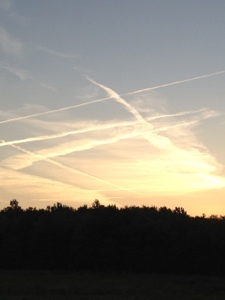 Chemtrails are playing Tic Tac Toe this morning. 7:15 EST. No Winners.